Verily, doth a man who maketh history seldom know it. 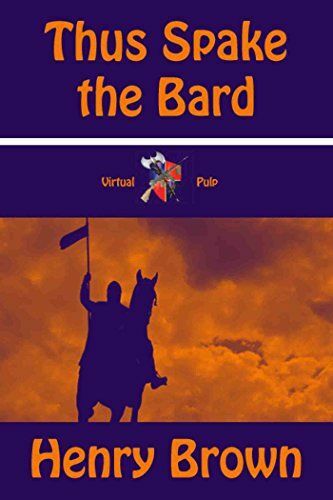 Such a man is Allan Gavin of Barnesdale, a bard and minstrel of unsurpassed cunning with verse. He slayeth no dragons, nor doth he fight in Edward III's wars. 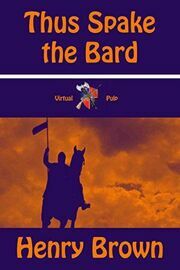 But even as the tongue of the Britons is comingled with German, French and Latin, Allan elevates Artos the Bear, high chieftain over the Britons at the twilight of Rome's influence, into Arthur, king of all Angland, through his artful telling of tales. But alas, Allan's noble friend Boudvaar, the troubadour, hath incurred the wrath of the sheriff in Nottinghamshire; and must meet the vile viscount in single combat. Allan shall accompany Boudvaar on this death march, neither bard nor troubadour fathoming that on the journey thence they should be waylaid by outlaws in Sherwood Forest.